Have a little faith! He is our son, after all! You're a man with a true skill an example we should all follow. 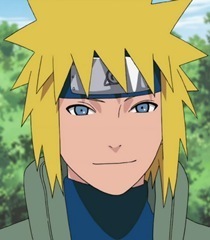 I can't think of a finer shinobi than you! They seem to have been reinforced with the Ryuumyaku's chakra. You're a Leaf shinobi, right? We're also from the Leaf Village. We should treat that injury quickly. I dont think so, you oversized Pokemon.